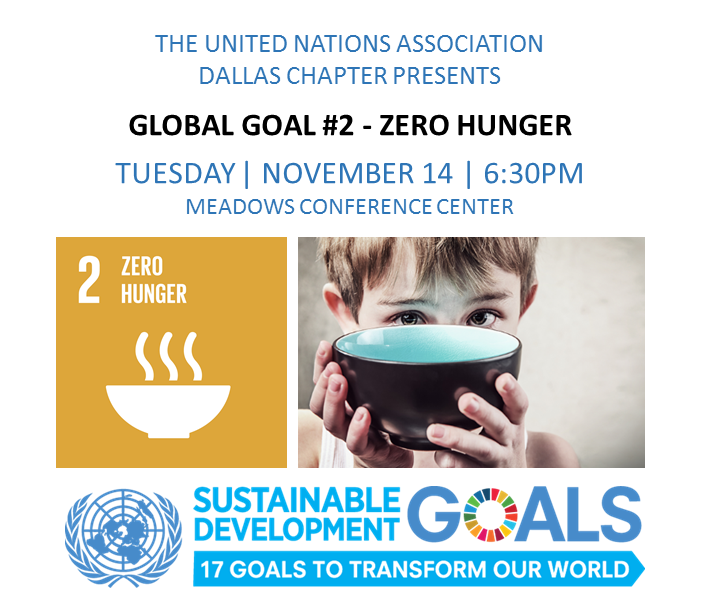 Join the United Nations Association Dallas Chapter for a lively panel discussion on local efforts to achieve SDG #2: End hunger, achieve food security and improved nutrition and promote sustainable agriculture. Ryan Eason, Manager, Community Relations, Medical City Healthcare, will share the Kids Teaching Kids. More panelists and details to come!